Opening hours: Opening hours may vary depending on the season, but most businesses operate from 8 or 9am to 1.30pm, closing for siesta and re-opening again from 3 or 4pm until 8 or 9pm. Most places only operate in the mornings on Saturdays and remain closed on Sundays. 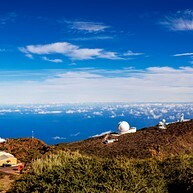 La Palma's attractions start from sea-level and reach all the way up to the stars, with El Roque de Los Muchachos Observatory (housing one of the world's most powerful telescopes) marking the halfway point. Somewhere between the two lie hiking trails, volcanic landscapes, salt pans, natural parks and verdant forests that all guarantee to keep active visitors busy for days on end. 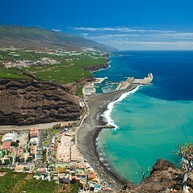 La Palma's weather conditions are excellent for paragliding, and although beaches are far from being the island's primary appeal, there are a few attractive swimming locations dotting the coastline. 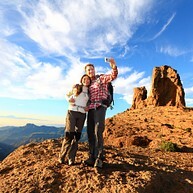 The centerpiece of La Palma's incredible National Park is Caldera de Taburiente – a few kilometer-wide crater once mistaken to be volcanic in origin. An extended period of erosion caused the soil to sink, creating an enormous pit in place of a once-existing mountain. The park itself contains scenic hiking trails, waterfalls, forests, and is characterized by breathtaking natural landscapes. Fuencaliente in the island's south is a good base for travellers looking to explore nearby natural attractions. 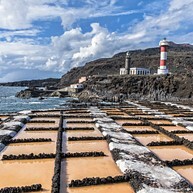 Sight offerings may be limited in the central village of Los Canarios itself, but trips to nearby volcanoes (de San Antonio and Teneguia) and salt pools make for a dense excursion program. Charco Azul (in San Andres y Sauces) is our top choice, followed closely by Piscinas de la Fajana – a similar location just a short drive north from Charco Azul. Both are rather well-maintained and equipped with visitor facilities. Pool waters are clear and shallow, with surrounding caves providing shelter from the summer sun. One of the undisputable highlights of La Palma is the Roque de Los Muchachos Observatory containing the world's largest optical telescope. 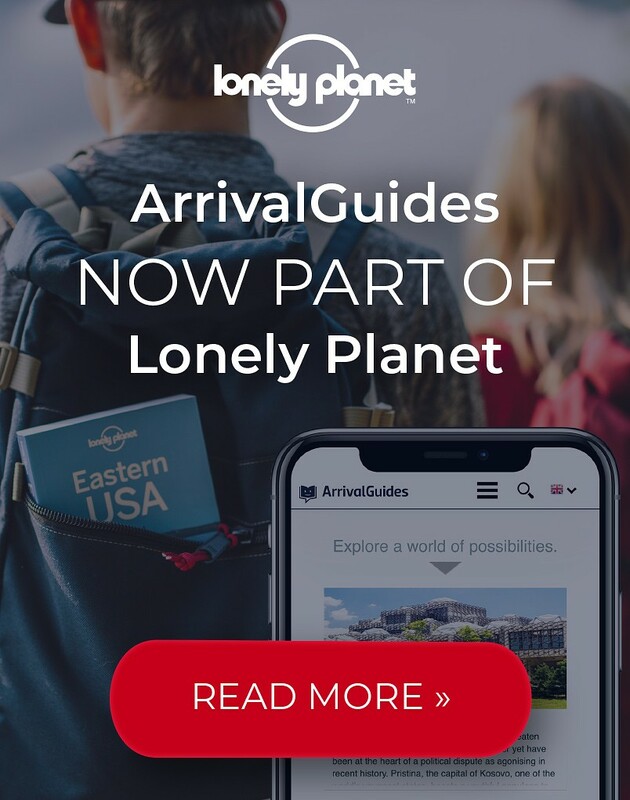 Book a daytime tour and see professional telescopes used to watch the stars, or join an evening astronomy tour to take a close-up look at the night sky yourself. Roque de Los Muchachos is also excellent hiking grounds, and the island's highest point is a stone's throw away from the observatory. The island's administrative capital is nestled beautifully on La Palma's east coast, and contains a few museums and quaint churches of visitor interest. Do not miss the best vantage point for seeing Santa Cruz in its entirety at 17th century Santuario de la Virgen de las Nieves, and stroll down the Avenida Maritima to see its colorful, idyllic balconies festooned with plants and flowers. 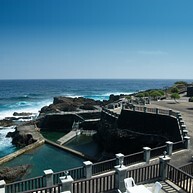 One of La Palma's two tourist-besieged destinations, Puerto Naos is a coastal settlement boasting the island's longest beach. It's a good choice for sun-seekers and those planning to dedicate a significant amount of time to the beach. Eco Finca Platano Logico makes for an interesting excursion, where visitors are granted insight into sustainable eco-farming. The Los Tiles laurel forests are an enormous green oasis covering dozens of square kilometers, and containing a plethora of island flora and fauna. Take the hiking path to Marcos y Cordero to reach the Visitor Center with more information on the forest's species, or hike through the lush vegetation to the Marcos y Cordero natural springs. 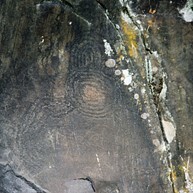 The island's original inhabitants – the Benahoare – have left two circular rock carvings engraved in stone now on display in La Palma's Parque Cultural La Zarza. The on-site museum tells the story of the people who once populated the volcanic island and details the Spanish conquest of the mid-15th century. Running from Fuencaliente to El Pilar, this well-marked scenic route is easy to navigate and varies in difficulty depending on the direction you choose – it's downhill towards Fuencaliente, but becomes more challenging if you venture north to El Pilar. 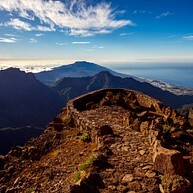 It's a 3-kilometer uphill hike from Puerto de Tazacorte to this excellent viewing platform, from where sweeping vistas of the La Palma coastline and settlements unfold. There is a panoramic cafe serving refreshments at the top. The viewpoint can also be reached by car or public bus.